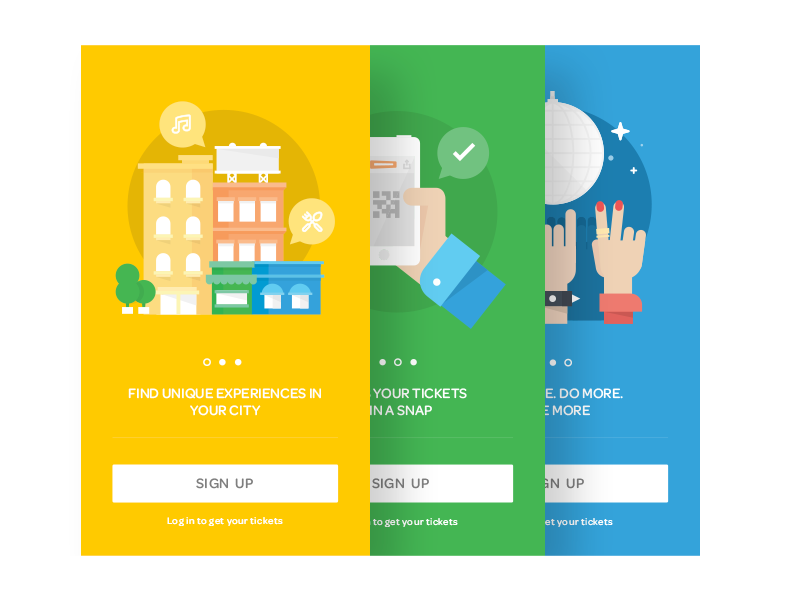 How do you build an event planning app? People like to go out and have fun, whether it’s a regular Friday night in their hometown or a two-week vacation in Europe. Because of the high demand, investing in an event planning app can lead to great success – just look at Eventbrite, Songkick, and YPlan. Let’s talk a bit about how to create a custom event app like Eventbrite, touching upon the technical side of the digital hangout market. “Worldwide ticketing is a big cash cow — over $1 billion in gross ticket sales passed through Eventbrite’s platform last year alone, and online ticketing in the US alone was estimated to be around a $4 billion business.” Probably this is why we receive more and more requests to develop apps for going out. There are many subcategories of event planning apps. These apps differ according to their features, target audience, and technical implementation. Let’s have a look at a few examples. Bandsintown is a true discovery for fans to never miss a live concert of the artists they love. With this app, you can track bands and singers, and get suggestions of concerts based on interests and current location. Songkick was developed to connect concert-goers with their favorite bands and artists. The app finds where your favorite groups are playing and sends alerts if they’re coming to a city nearby. If your favorite artist has an upcoming show, the app gives a link directly to a website for purchasing tickets. Songkick also has a feature for artists and managers to add their own events and let more people learn about their concerts. 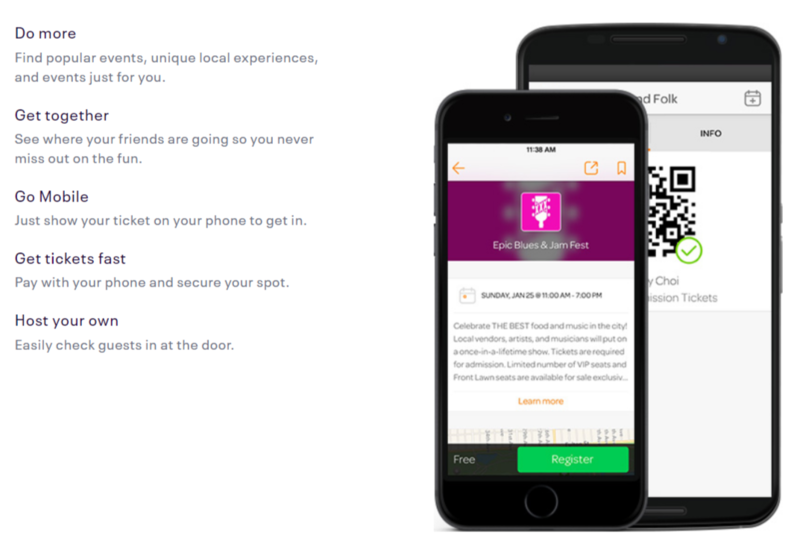 Eventbrite, one of the leaders in the event space, allows you to find events across the globe and buy tickets. More importantly, Eventbrite provides lots of functionality to organize your own events and sell your own tickets through the platform. As you see, event discovery companies often offer tools for both users looking for events, and event creators generating new events of different type: concerts, social events, work events, business meetings, conferences, and so on. In this post, we’ll focus on the features for event goers. But don’t worry! We’ll tell you about features and tools for event creators in one of our next articles. 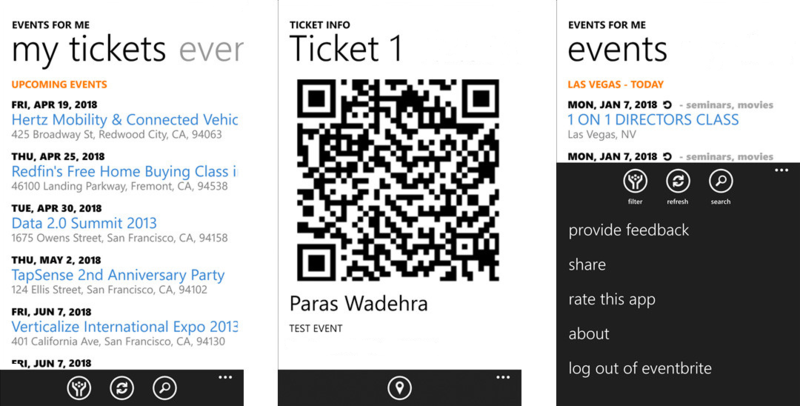 At the start, almost all event software is centered around electronic tickets. Today, a successful app must be multiplatform (meaning it’s available as a web app as well as a mobile app on iOS and Android) and must have some standout features. If you’re stuck for ideas but want to create an event discovery app, we can make a few suggestions. Modern apps are about a slick UI and UX. This is why the registration process should be easy. 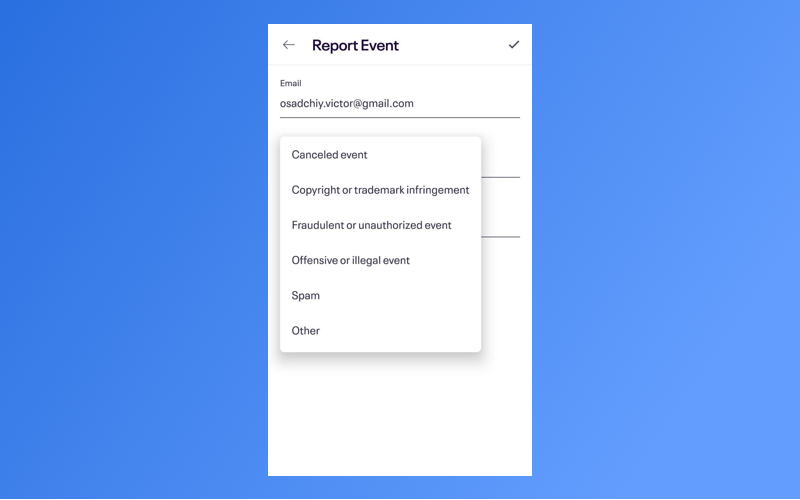 Allow users to sign up via their phone number, email address, and social networks so they can share events, create virality for your business, and promote your brand. And don’t forget to add a profile feature with interests. This can be a certain onboarding feature that connects with a user profile from, say, Facebook, carefully analyzes user preferences to suggest events later, and explains the main app functionality step by step. Once users are onboard, they can get lost in all the events. This is when feed APIs come into play, organizing and suggesting events according to a user’s interests. APIs can aggregate, rank, and personalize event information in real time based on user interests. You can try solutions by Getstream, CivicFeed, and others to build custom feeds. Not only interests and tastes matter, but location as well. Users will first search for events nearby, and this is why your app should be location-aware. Consider integrating the Geolocation API by Here (for iOS) or the Google Awareness API (for Android) to help people find the nearest and most exciting events. People might be looking for a specific event and not want to waste their time scrolling through a long list. This is why you need to separate your events by type: concerts, movies, and any other types of events you provide. 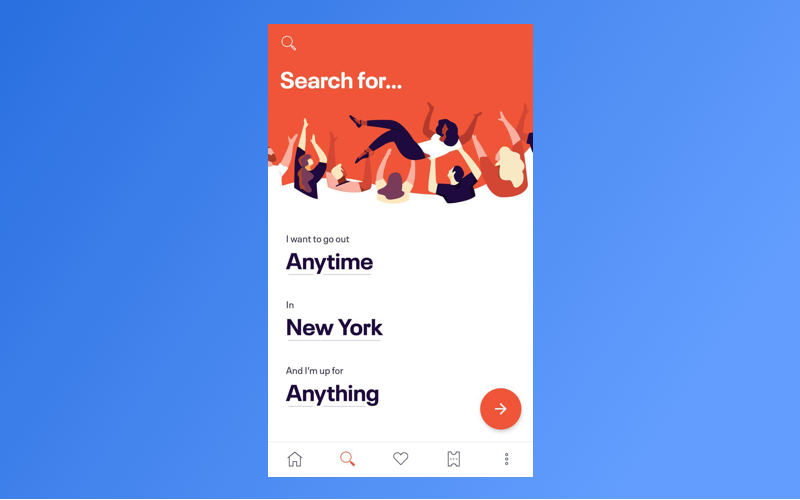 Moreover, filters will be a good idea for search to let users choose events by type, artist, price, location, date, and time. You can use the Google Search API for Android or the Lookup API for iOS. Both solutions allow you to discover and show search results in the app interface. Booking events and purchasing tickets requires integrating your event platform with third-party services like Stripe, Braintree, or PayPal. You can learn about payment services in detail in one of our previous posts. Users also need a tool for managing orders. It’s a good idea to provide a list of all tickets purchased and allow users to cancel orders or refund tickets. 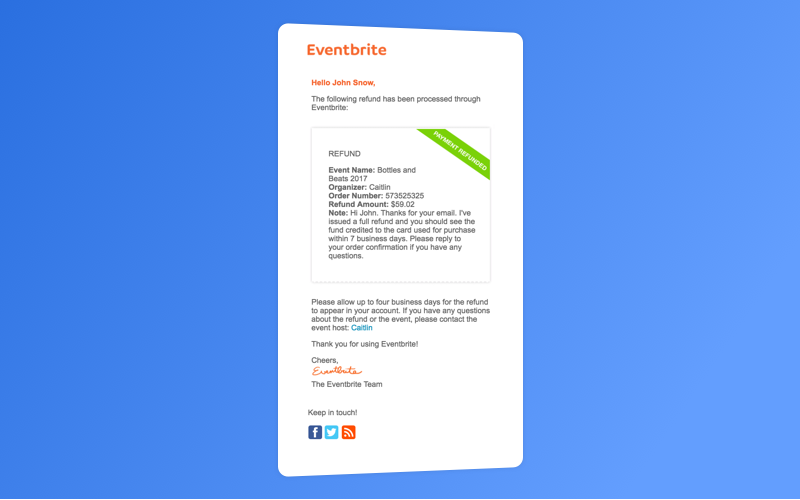 For instance, Eventbrite provides a list of reasons why users can request a refund and sends a confirmation email once tickets have been refunded. As an event discovery company, this feature will let you find out what gigs and artists are most popular among your users. People forget about lots of things, including events. That’s why you need to ensure that users are reminded of their events in a timely manner. This also ensures good ticket sales as the probability of purchasing a ticket rises after a reminder. At Yalantis, we often integrate Firebase Cloud Messaging and Apple Push Notification Service to send notifications to users and inform them about sales, special offers, recommendations, and so on. However, these aren’t the only features you should think about when creating your event discovery website. Consider possible issues that can arise along with ways to make your site attractive, trustworthy, and reliable. Many event discovery businesses are flourishing, but some never become successful. Let’s have a closer look at the main factors to ensure your success. Allow more users to learn about events in your app. If you don’t want to bother with selling tickets, allow event agents and event managers to register free events online, allowing event organizers to promote even without selling. There are several ways that you can integrate recommendations into your event app. Use integrations for social sharing on Facebook, Twitter, Instagram, Snapchat, and even LinkedIn. Integrate Foursquare’s location-based social media service. Let users ask questions to others who have checked in at a given location, like LocalMind does. Use content like Bandsintown does. The app scans users’ music from local storage, Google Play Music, Soundcloud, or YouTube and suggests concerts based on musical taste. There will always be some issues with tickets and payments. Users need to know they’ll get the support they need if problems arise. You can use a Zendesk Help integration for that. The chatbot feature will suffice for most common questions, while live chat with a support agent will be good for handling more complicated issues. Zendesk also lets you collect user feedback to improve your service. After an event is reported, the Trust and Safety Team at Eventbrite carefully checks and decides whether to block the event and whether users should be refunded. A scalable app is present on all popular mobile operating systems and has a web version. Why? Because this way more people will get to use it and you’ll be able to supply people with more cool features in the future. 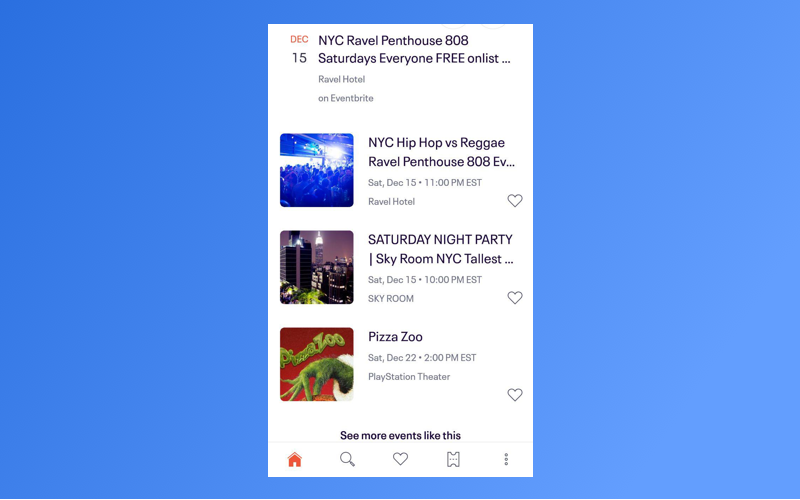 Eventbrite has a great web version along with apps for Android and iOS. Most businesses are seeking ways to stay cost-effective, and often they don’t hire a skilled development team to create and maintain their app. This can lead to multiple errors and crashes that aren’t fixed on time, decreasing sales dramatically. There are at least two ways to handle this: have an in-house team that can be there anytime you need or hire experts to set up a site and solve website problems when they appear. Which of these options is better for your app is a decision you have to make based on your financial and people resources and your business strategy. Our experience in event app development started long ago with some local event apps similar to YPlan. 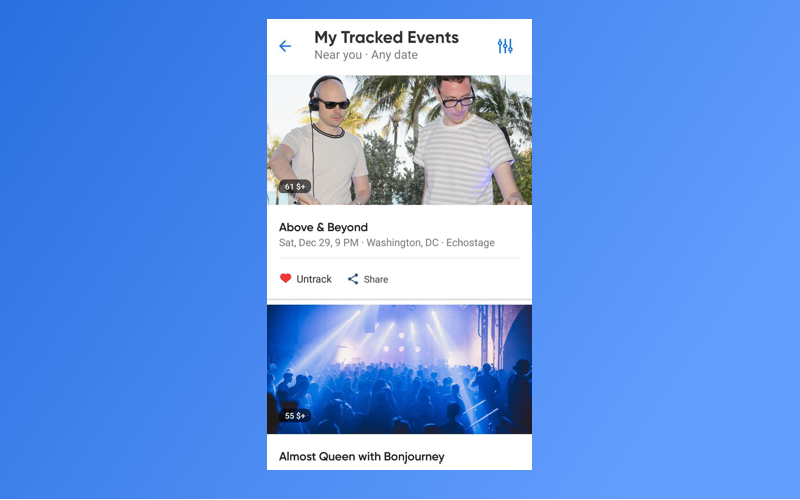 Brisk is just one of the event discovery apps we’ve developed. It’s an app created for London residents and visitors. Brisk shows what’s happening around you through real-time photos. This is a helpful feature for those who want to go out but aren’t sure which bar to choose, which restaurant to dine at, or where there’s something fun going on. How does it work? We integrated Foursquare with Brisk. We also implemented thorough monitoring and filtering of social media activity from London businesses, giving users real-time news in their Brisk app. The app also shows the distance to places and lets users check in. Since the app was developed for iOS only, we used Mapkit framework for displaying Apple maps and pinning photos to maps locations. Read also: How much does it cost to build an application? As you can see, even with so many key players in the industry, like Ticketfly and Eventbrite, you can still enter the online event market with a unique set of features in your app. Start smart, perform deep research, and hire a team of professionals — we’d be happy to help! Only then can you start building an app for event discovery that will win the hearts of people around the world. What Makes Eventbrite a Billion Dollar Company?